South Tyrol is the northernmost province of Italy, borders on Austria and together with the province of Trentino forms the Autonomous Region Trentino Alto Adige. The Province of Alto Adige (South Tyrol or Bolzano) is different from the other provinces, because here three languages ​​are spoken. There are also cultural differences compared to the rest of Italy due to the fact that South Tyrol was part of Austria for centuries. Since the autonomy came into force, South Tyrol has enjoyed many rights of self-government administered from the provincial capital of Bolzano. South Tyrol is famous for its idyllic landscapes with different climatic conditions, for its mountains and slightly Mediterranean air and for its graceful valleys as far as Merano. 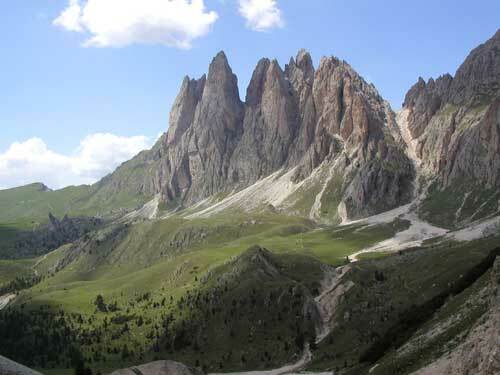 South Tyrol has also been declared a World Heritage Site by UNESCO because of its beauty and is considered one of the most popular holiday destinations. Val Gardena is part of South Tyrol, with some of the most distinctive mountains of the South Tyrolean Dolomites, where rare woodcarvings and crib figures are created and offered by companies such as Comploj Albert in Ortisei.